February 1, 2019 By Editor & filed under Blog. 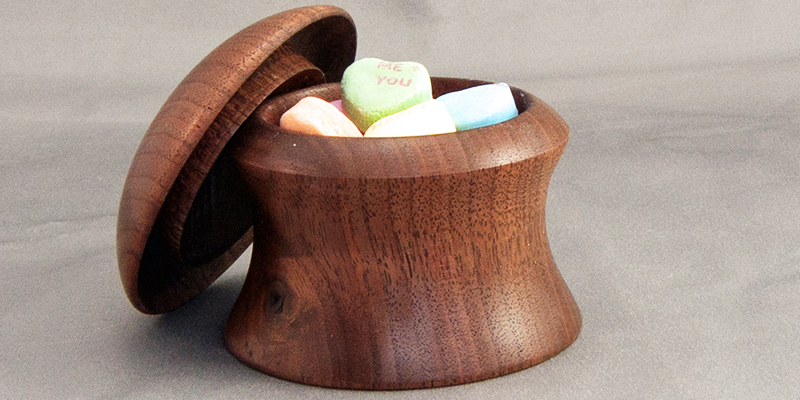 This Valentine’s Day, put your woodworking skills to use and give a handmade gift! Creating your own gifts makes them unique and are always appreciated by those receiving them. 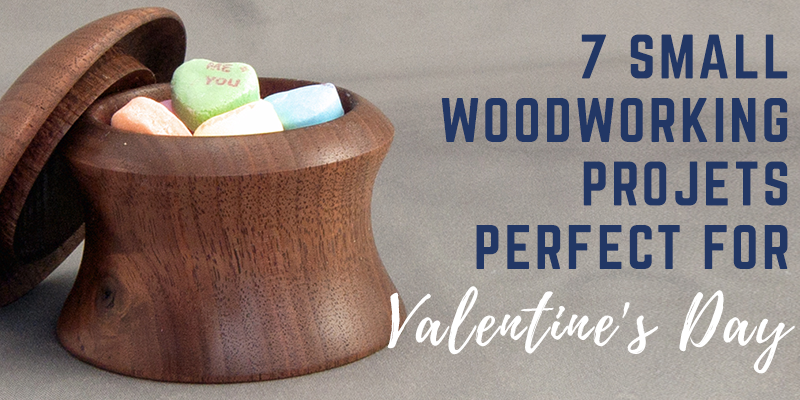 Here at WWGOA, we have tons of project ideas, but we’ve compiled 7 of our best projects perfect for Valentine’s gifts. These projects are easy and quick to make, so you can make them in a pinch. Read below to get some homemade gift ideas! Don’t let this elegant end table fool you, it is a marvel of engineering and efficiency. The legs are placed on the corners, providing remarkable lateral and torsional strength, and the two horizontal planes serve as both shelf and stretchers. You can also make this gift extra quickly by using screws instead of fancy joinery and hide the holes with plugs! Any type of lumber can be used to make this charming table, and it will look great in any home! The project is designed to hold a standard 2 votive holder with an LED candle that is sure to add style to any room. You can modify the dimensions of the sconce and shelf to accommodate any size or style candle that you would like to use. 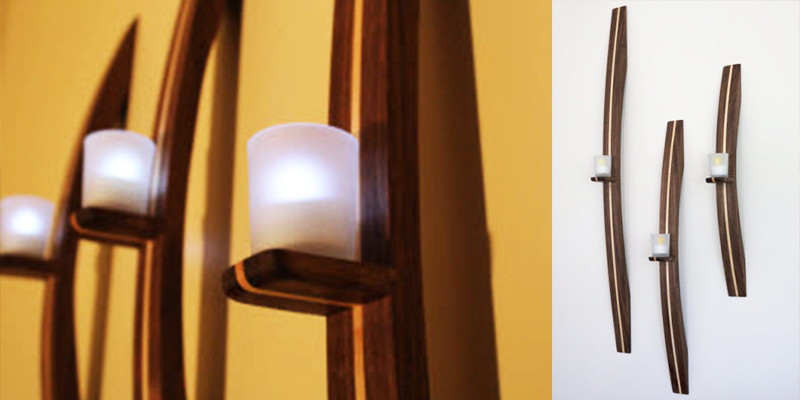 These sconces are also simple to make and easy to build in mass production. A trio of them can be hung nicely as a set, or separately, depending on where you’d like to place them. Got a wine lover in your life? This is the perfect gift for them! 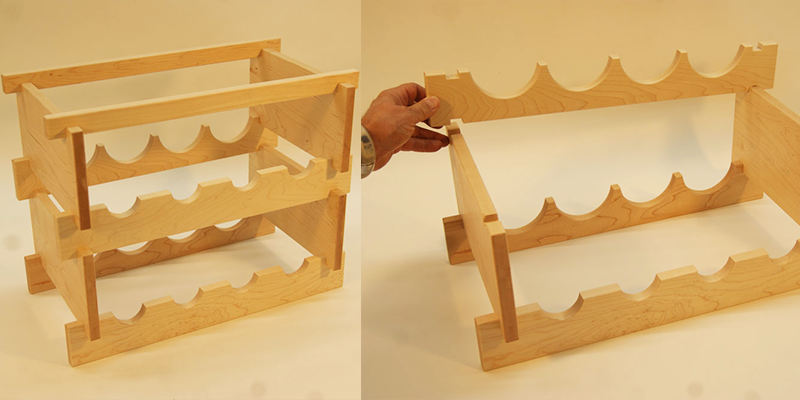 This wine rack holds 4 bottles per layer, but an alternate plan will allow you to include 5 bottles per layer. 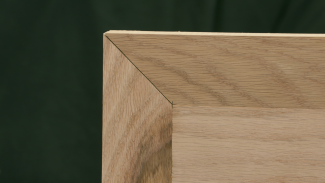 However, the joinery in this project, though not terribly complex, requires fair precision. 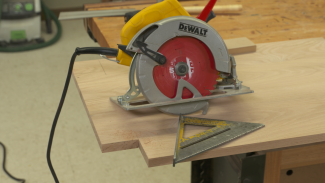 Specialized tools required – a dado set and 2 hole saws, (3-1/4” and 1-1/4” diameter). 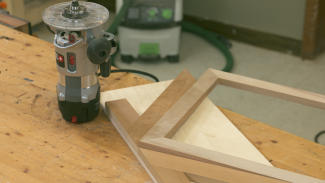 You’ll need a drill press to run the hole saws. If you’ve got the tools and the time, this project is sure to please. 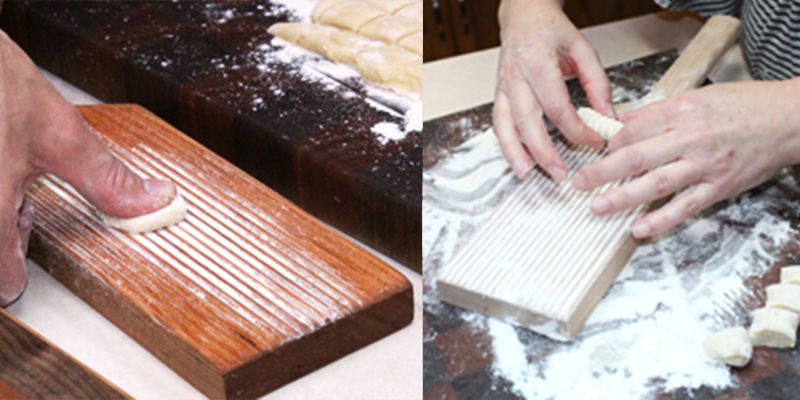 This pasta paddle is used for making cavatelli, a small ridged dumpling-like noodle, where the ridges add an appealing texture and hold more sauce. Not only can you make this as a gift, but you can also make your sweetheart some pasta while you’re at it for a fun date. Paul Mayer provides the plans for making the paddle, and his cavatelli pasta recipe! Make your sweetheart smile with this small box! You can hide small candies or jewelry inside for an extra nice touch. 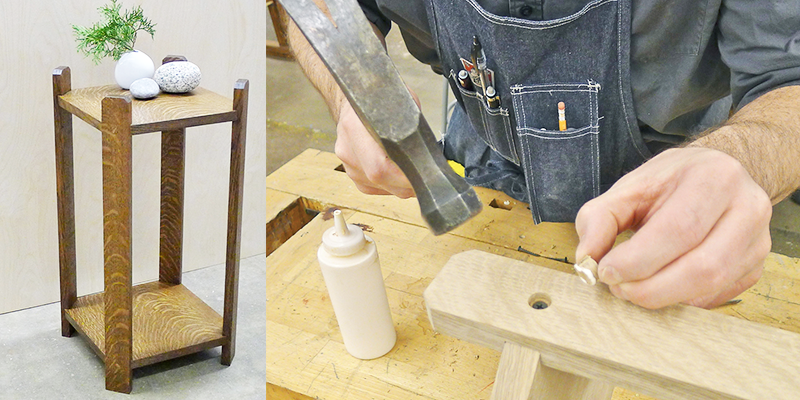 This intermediate level turning project can be done in an afternoon at a cost that can be next to nothing! It is also a great project to use up some rescued or leftover wood on since it is fairly small. Turning a lidded vessel is sure to boost your turning skills, especially if you’ve never done a lidded vessel before. There are lots of meaty tips presented in this project that can easily be applied to larger vessels. Jazz up your kitchen table with this charming set! This project is useful and elegant, with the contrasting strips of wood creating an interesting design. 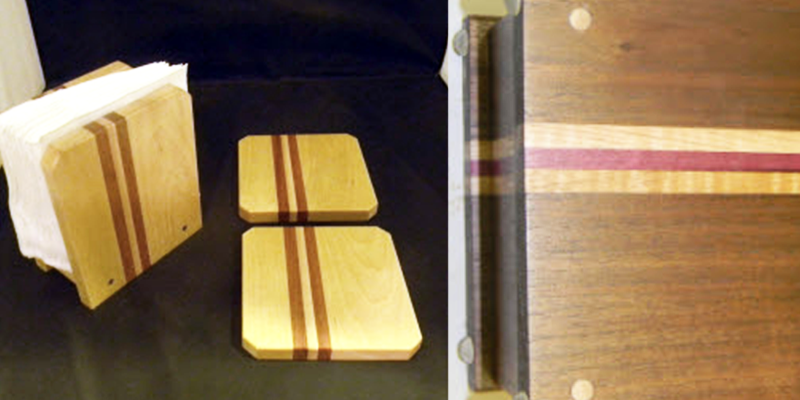 You can also make several of these sets at one time in case you need to make several gifts. 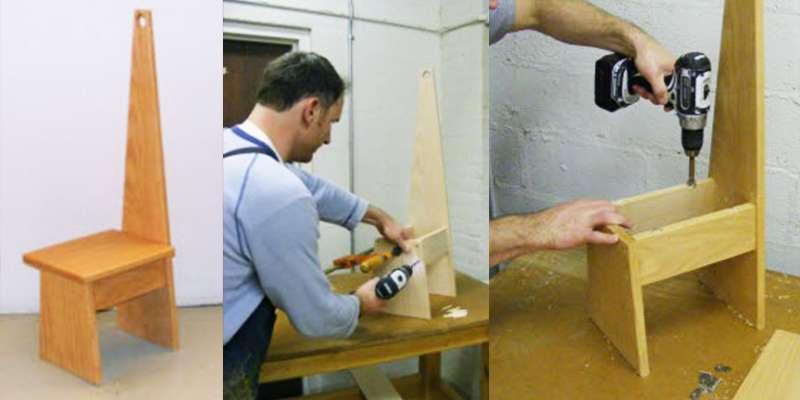 All the parts of this step-stool come out of one piece of 3/4″ x 10″ x 72″ lumber. I used red oak, but any hardwood will work. If you want to paint your stool, you could choose poplar. The construction is very straightforward (no jigs to make!) and uses dowels to fix the end pieces to the aprons. It has a hole in the tall upright to use as a handle when it is moved around the kitchen. This gift is useful, and perfect for any of your valentines that might be on the short side! What are you making this Valentine’s Day? Let us know in the comments below! Have a 4 axis CNC machine in our shop: 8 head revolver. Looking for fun weekend projects. Hi Kenneth. Here’s an option! I am extremely disappointed that you are endorsing Ted’s Woodworking. It is a scam. View BBB and see for your self. Hi Glenn. 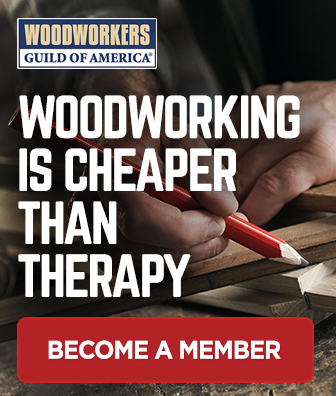 We wanted to let you know that in no way are we supporting Ted’s woodworking. All projects on this list, are projects from our WWGOA editors. We are acquainted with a young man who loves working with wood and making things, big and small. He only has a jig saw. We would like to help him increase his tool supply. You master craftsmen/women, what do you recommend as the next tool for him to work for? I would suggest getting the biggest and best bandsaw he can afford. Don’t bother with a small one, unless he is only planning to make very small projects.